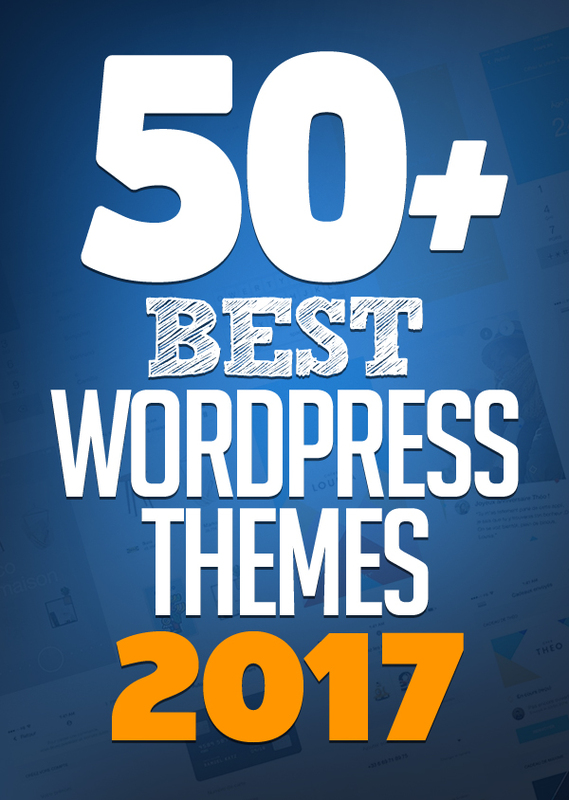 Best of 2017 WordPress Themes and templates WordPress sites. The collection based on top rating and best selling WordPress themes. All themes are fully responsive coded with HTML5/CSS3, Bootstrap and SEO Optimized. These best themes are great solution for Entrepreneurs, blogs and all kinds of corporate businesses. Premium WP themes are best suited for eCommerce, shop, magazine, news, blog or corporate websites. All themes builds on widgetized homepage with a lot of widgets with many style and Sections. Which means you can build your web page content by drag & drop modules. Themes includes many great features like mega menu, slider, page builder, product quick view, wishlist, compare, zoom and more useful options. In this collection we are gathered 50+ best WP themes. These WordPress themes are already downloaded hundreds of time and web professionals can create amazing websites with these Best WordPress Themes. Sober is a unique and modern WordPress e-commerce theme built with Bootstrap and powered by Visual Composer. It was built for your digital store, hi-tech store, watch store, men store, women store, clothing store, furniture store, bookstore, cosmetics shop, luxury jewelry, and accessories store. Boo, the most powerful website builder ever. It’s easy and fast. Let’s explore the magic behind Boo that allows your dream site to come true. Claue Clean, minimal WooCommerce theme for online fashion store, personal blog…. It comes with a lot of great features that would take you months to develop. It is fully responsive, it looks stunning on all types of screens and devices. Including easy to set up for MailChimp, Contact Form 7, Instagram Feed, Lookbook, WooCommerce Email Transaction and Product Colour Swatch, Product Colours Swatch Gallery Images, Product Video Thumbnail, Instagram Shop, Product Bundle. EmallShop is Professional Responsive Woocommerce WordPress theme built with Bootstrap and powered by Visual Composer. EmallShop is built with Visual Composer that allows you to easily create and customize your webpage. Besides, the theme is integrated with WooCommerce to hold your whole online store. Carrie is a very stylish, elegant and powerful multipurpose WordPress blog theme perfect for any personal blog. Theme has an unique design with a lot of options, that can help customizing you blog, changing fonts, colors, layouts, post views and more. Carrie’s stunning sliders (Built-in Slider and Slider Revolution included) and creative promo boxes offer a unique visual experience to showcase your content in different ways with responsive layouts optimized for all devices. Pizzaro – Fast Food & Restaurant WooCommerce Theme is a modern, functional and clean layouts design with premium attention to the details for Fast food, sushi and Pizza delivering restaurants. The theme is built on top of Underscores framework. The code is lean and extensible. This will allow developers to easily add functionality to your side via child theme and/or custom plugin(s). Revo is the combination of a powerful admin panel and the live drap-n-drop page builder (Visual Composer) as well as many cutting-edge features inside: RTL Layout, Powerful Mega Menu, Color Swatches, Product Quickview, 4 Product types, video product thumbnail and lots of premium widgets included. Furthermore, with One-click Demo Installation supported, you can quickly get a complete website look like the demo just by 1 click. Clients Carousel shortcode and more. Unlimited customizability, built-in mega menu, full WooCommerce design integration, typographic options with over 700+ Google fonts, robust admin panel with hundreds of options to make it your own, tons of useful visual page builder elements and tons of pre-configured layouts! One Page Pro is a clean, multi-purpose onepage WordPress theme. It’s suitable with many kinds of business such as financial, corporate website, designer, creative agency and also for CV, resume website as well. One Page Pro comes with 3 high quality demos, Corporate Demo, CV Demo and Creative Demo. Multi-industry recruitment agency is a fully responsive job-listing theme which allows admins to post jobs and allows the users to apply for them. The theme also offers a front-end user account section, which allows the user to create their candidate account, upload their CV/Resume, view their application history, create job alerts & more! ZONA is a new WordPress music theme concept built precisely for Musicans, Bands, DJ’s, Producers…and other individual creative folks. ZONA was made using AJAX – now you can be sure that music won’t stop playing during page browsing. Theme comes with Visual Composer for easily managing your content. If you are searching for innovative, modern and clean design, ZONA is definitely for you. Fortune is the Perfect Finance, Consulting & Professional Business WordPress Theme. Fortune is best suited for corporate website like Financial Advisor, Accountant, Consulting Firms, insurance, loan, tax help, Investment firm etc. This is a business template that is help full for online presence for Corporate Business and Financial Firms. Fortune is Fully Responsive! Strong focus on the smartphone and tablet experience. Struct is a responsive and multipurpose WordPress Theme built on Bootstrap framework. It is suitable for Architecture Studio, business and personal website. Well structured HTML5 & CSS3 code and documentation. Czar is a revolutionary Multi-Purpose Responsive WordPress theme for creating your website. Czar eradicates some basic problems a user faces while creating and managing a website. Czar is modular and has been developed to be responsive and modular in order to give you the complete control over each and every element of your theme. Universal is the Perfect Finance, Consulting & Professional Business WordPress Theme. Universal is best suited for corporate website like Financial Advisor, Accountant, Consulting Firms, insurance, loan, tax help, Investment firm etc. This is a business template that is help full for online presence for Corporate Business and Financial Firms. Universal is Fully Responsive! Strong focus on the smartphone and tablet experience. Conversi is a professional conversion landing page that is built-in fully responsive, with a premium design, elegant style and have a slew of features. Thanks a lot for the wonderful overview!My most favorite themes are Anissa and Blogr. Blogr give you full control if you care so much for your readers and your writing career. Hands down!